Westfield UTC has installed parking control equipment and will soon begin charging after two hours in an effort to halt the “poaching” of spaces in the congested University City neighborhood. Beginning in the fall, guests will be charged $3 per hour after the first two hours up to a $15 daily maximum. “For the approximately 85 percent of guests who complete their visits in under two hours the parking experience at UTC will be as free as ever,” Westfield said. Patrons of UTC’s Arclight Cinemas and certain other retailers will be able to receive validations for additional hours of free parking. The mall said hundreds of cars are parked around the mall daily by individuals taking advantage of the free parking and “poaching” spaces from mall customers. Westfield is worried the problem will increase when the trolley extension opens. 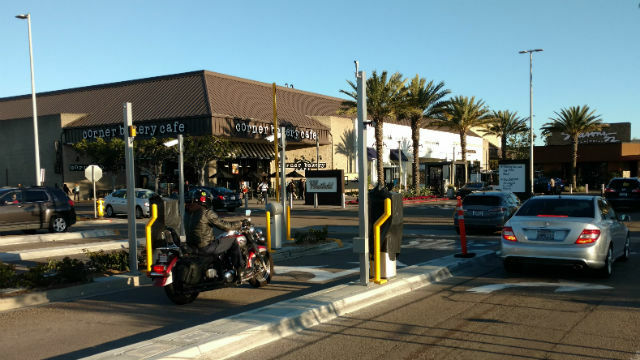 To ease the parking challenge, Westfiled recently opened a four-lane valet drive-up on La Jolla Village Drive. Also in the works is “park assist technology” — a system of red and green lights that leads drivers directly to the first available open space.